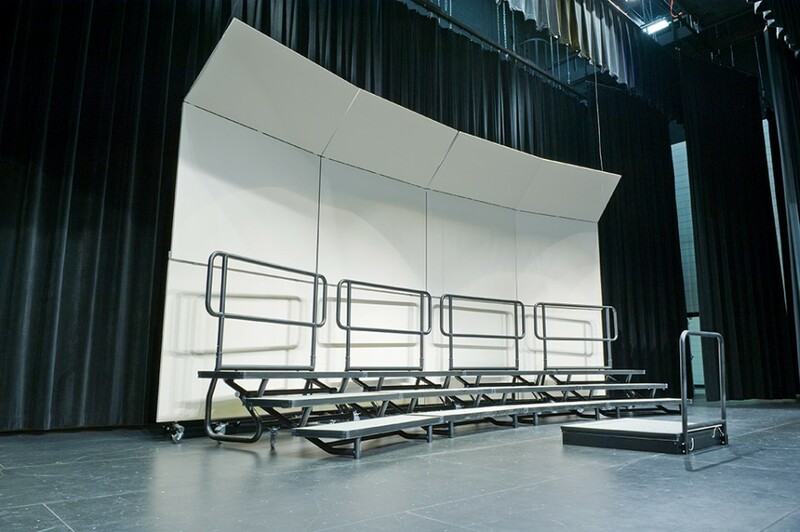 Step up to a new level of performance in front of your band risers, orchestra risers or choir risers so that every performer can see you with ease. 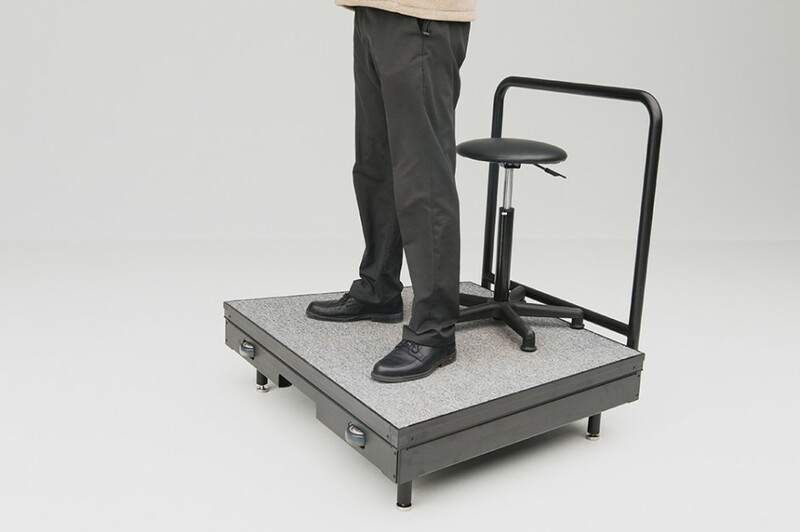 Conduct yourself in the most professional manner possible, thanks to StageRight’s versatile, heavy-duty Conductor’s Podium. 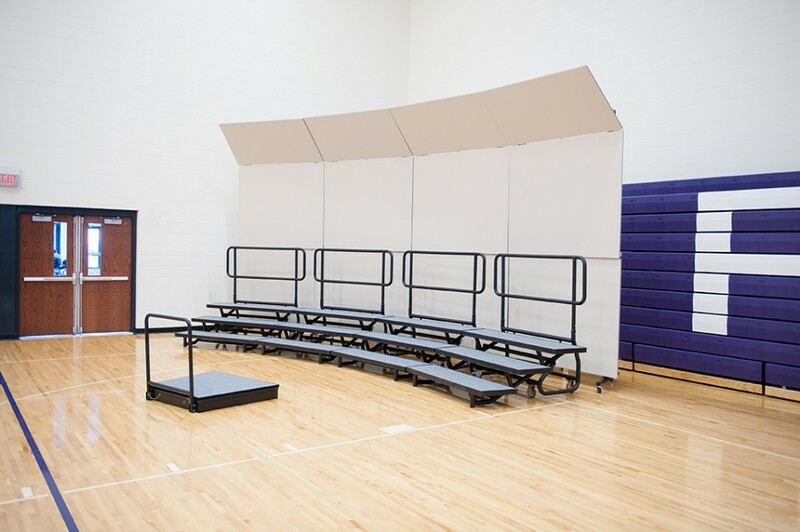 The durable one-piece construction includes a built-in guardrail and chairstop for safety. 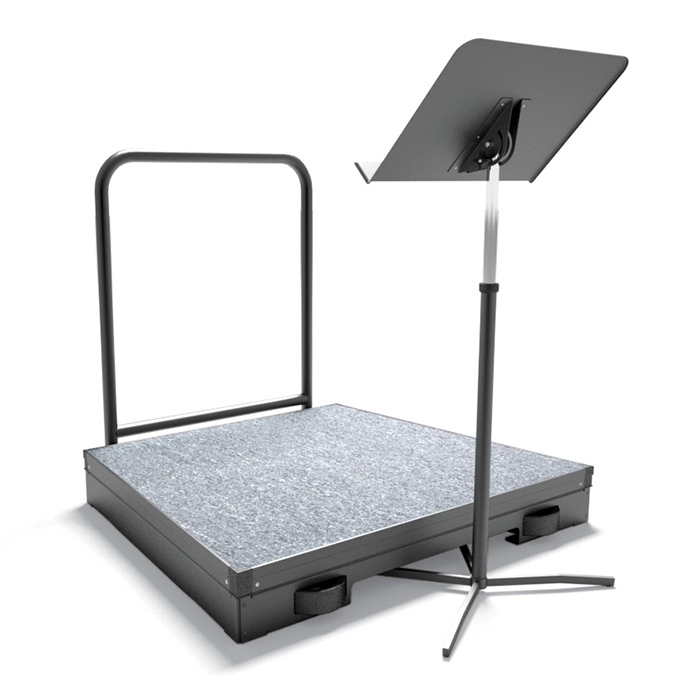 The conductor podium is available in either 6″ fixed height, or 6″-12″ adjustable height. 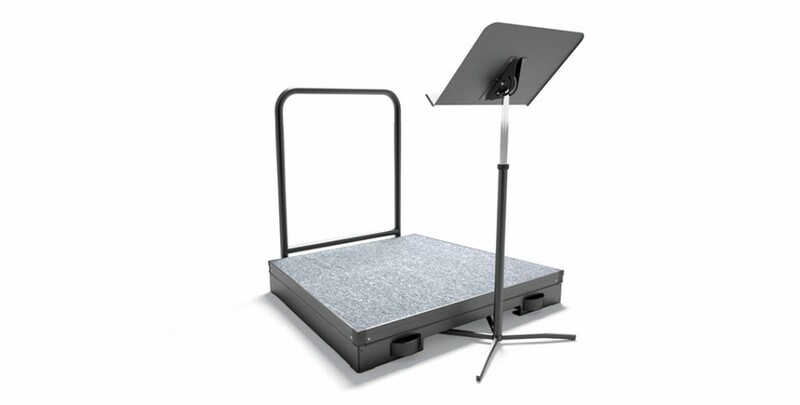 It’s carpeted for quiet performance, and the frame allows for a portable music stand. 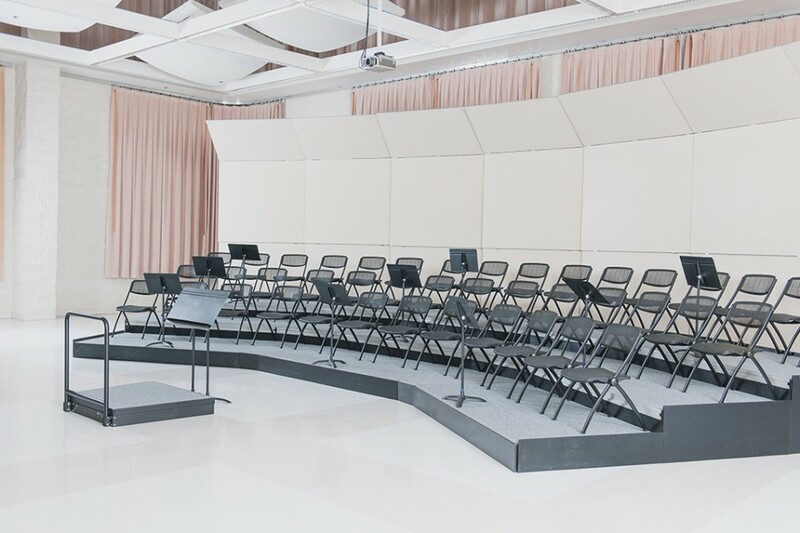 The design tapers for more performing room in front and stores compactly for a smaller storage footprint. 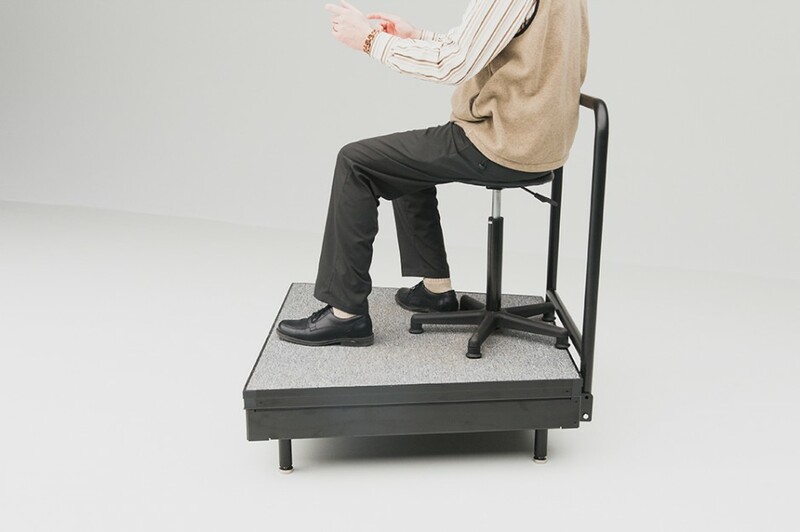 Integrated casters allow easy transportation from storage to practice to performance. 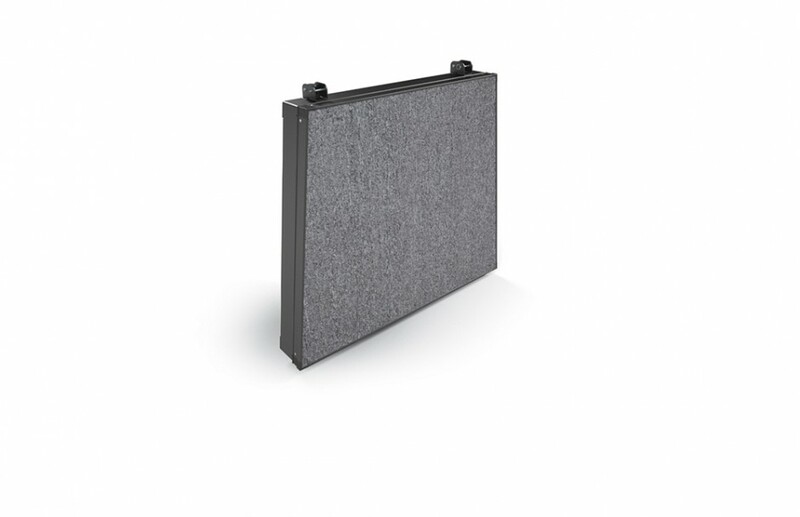 Built-in guardrail ensures safety. Chairstop keeps chair securely in place. 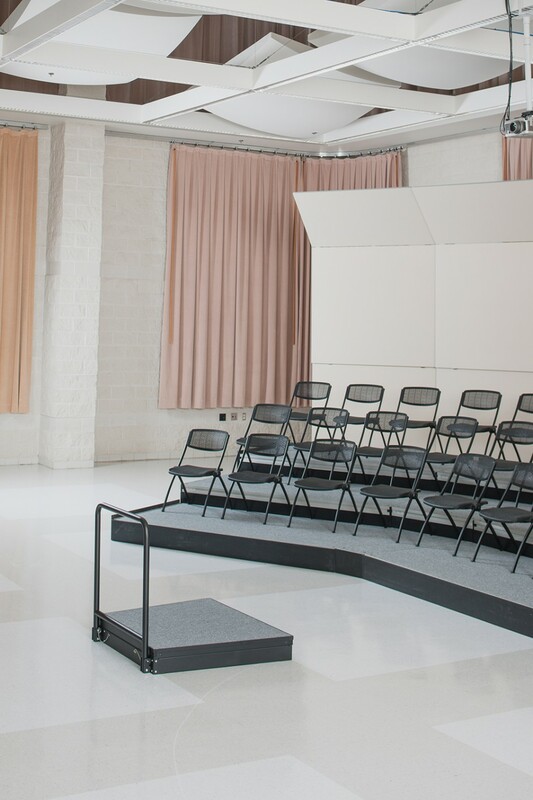 Stays quiet during your event. 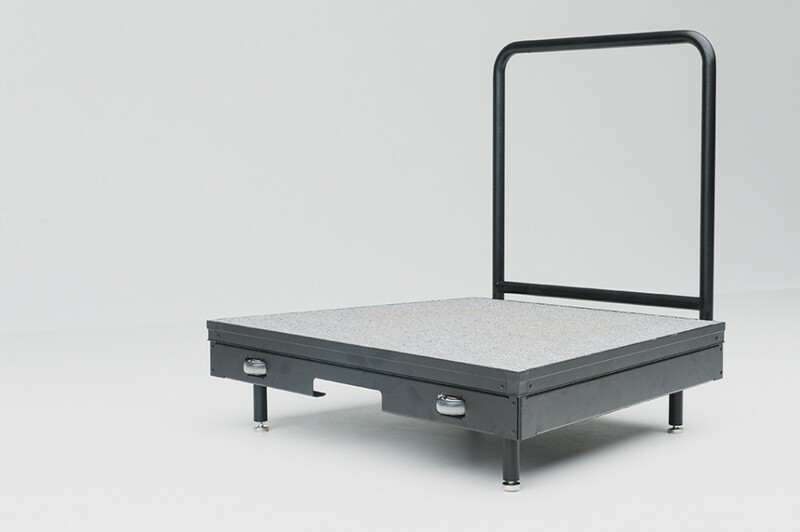 Guardrail folds under the unit for hassle free storage with no separate pieces. 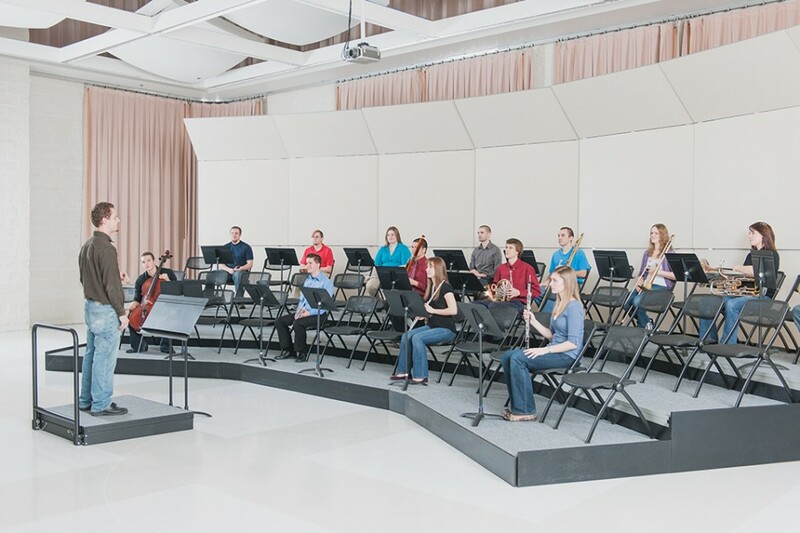 Takes up half the space of other leading conductor podiums. Durable, Long-lasting, Sleek and professional looking. Can be moved all as one piece: no separate pieces to carry. 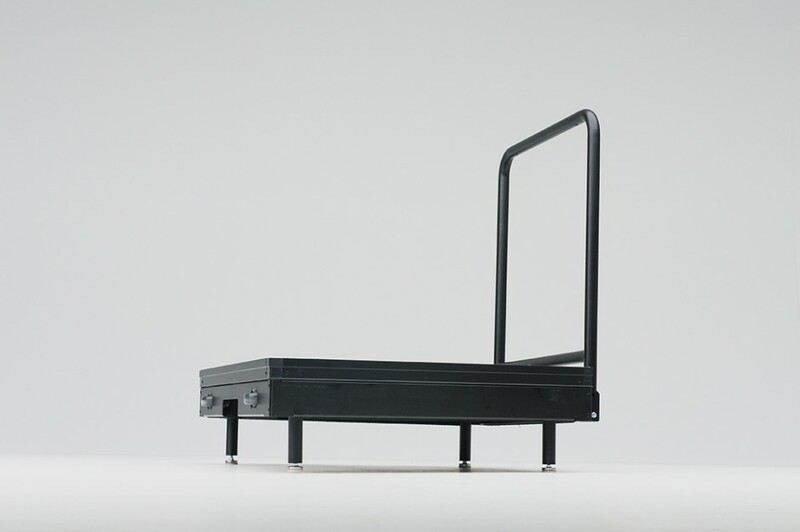 Tapered design allows for greater range of movement.